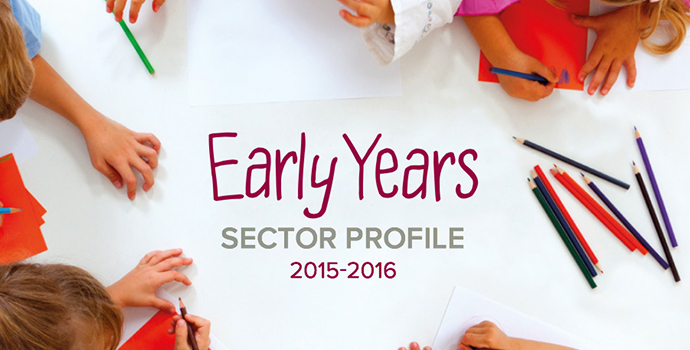 On 28th November, Minister for Children and Youth Affairs, Katherine Zappone TD, launched the Early Years, Service Profile, 2015/2016. The document provides a comprehensive national analysis of the 4,300 services providing early childhood care and education in Ireland. The data is collated by Pobal in conjunction with the Department of Children and Youth Affairs. Attendance: An estimated 171,200 children attended early years services in Ireland during 2015/2016. Free Preschool Year: The number of children availing of the free pre-school year grew by 16% between 2014/2015 and 2015/2016. Fees: The average cost of a full-time place was €167.03 per week, €0.16c less than in 2014/2015. The average cost of a part-time place was €99.18 per week, €3.82 higher than in the previous year. Staff: It is estimated that 25,700 staff work in the childcare sector in Ireland, of which half are employed on a part-time basis. Of particular interest is that this is the first time that we have an actual figure for the numbers of men working in the childcare sector in Ireland.The vast majority of all staff (97%) are female and 3% are male. Even less men are reported to work directly with children (2%).